Friends of Science in Medicine are Doing a Great Job of Losing The War Against Natural Medicine! As per our previous post a pressure group of Around 400 high profile doctors, medical researchers and scientists calling themselves Friends of Science in Medicine FSM – recently joined forces in order to have “alternative medicine” degrees removed from Australian universities. (Source ABC’s The Drum Opinion by Sarah Schwager) But sadly it seems that Friends of Science in Medicine are Doing a Great Job of Losing The War Against Natural Medicine! Just in case FSM would like help losing their war we should all encouraging them to continue with their tactics. FSM be advised, what you are doing and how you are going about it is the perfect losing strategy. Please . . .keep going. Here are my suggestions for how to keep losing your war against natural medicine.Yes Friends of Science in Medicine – you are Doing a Great Job of Losing The War. 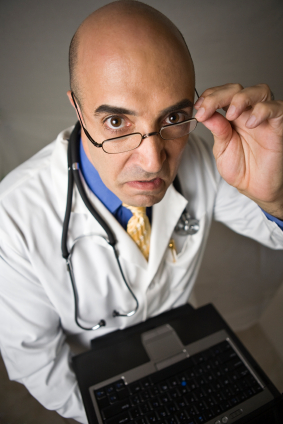 2) Continue to attack the princely art of Chiropractics: Over 80% of medical procedures are drug prescription related. Under cross examination in a court of law James Mennell MD stated over 60% of “ALL” human ailments are (neuro) musculoskeletal in nature. As a top Educator in Ivy League Medical Schools he was then asked how much training do MDs get in these areas. His answer was zero to five hours! See Dr Quantum 22nd Feb Post . . .Yep . . .people will be so outraged by your lack of any kind of clarity, humility or logic around the issue that you will continue to lose credibility. So thanks to you Friends of Science in Medicine – you are Doing a Great Job of Losing The War Against Natural Medicine! So indeed once again . . .thanks to you Friends of Science in Medicine – keep up the great work, you are Doing a Great Job of Losing The War Against Natural Medicine! Does my heart good to see them using their own energy to do themselves in!! You keep up the great work too Dr Quantum! An enjoyable read!